Click the “Ask an Expert” logo above and complete the form to ask us any Micad related question. As Micad experts, we will come back to you with a meaningful answer within 24 business hours. 1. Do you have third party occupants in residence in your properties ? 2. Do you know where your ALL of your third party occupants are in occupation ? 3. Do ALL of your occupants have an appropriate occupancy agreement ? 4. Are ALL third party occupants paying regularly reviewed Rent or Licence Fees ? 5. Are you recovering at least your property running costs on a Cost Recovery basis by way of an up to date Service Charge from ALL of your occupants ? 6. Do you have an appropriate, consistent and robust charging regime in place to ensure that charges are levied in a timely manner (and in conjunction with Lease / Licence provisions ? 7. Do you know where your occupancy agreements are held ? 8. Do you have electronic copies of your Occupancy Agreements in an easily accessible receptacle ? If you answered YES to ALL of the above questions click HERE. If you answered NO or NOT SURE to one or more of the above questions click HERE. A lack of understanding or poor management of Occupancies as both Landlord and Tenant is common but carries with it a large corporate risk. Being in possession of the information you require to manage your legal estate is not as difficult a task as it may sound with appropriately skilled support and advice. 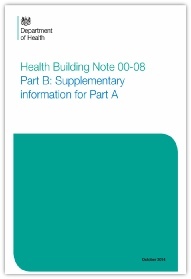 IIf you are an NHS body, the recently revised Health Building Note 00-08 (Estatecode) - Part B Paragraph 2.35 / 2.36 / 2.37 deals with Land and Property Records; and states that records should be fully collated, computerised and organisations / Trusts should have access to an electronic diary function (to provide advance notification of important key dates).. If you do not have a centralised electronic database and do not have the budget to purchase a full CAFM system such as the Micad IPR provided by Micad Systems, please take a moment to consider our cost effective, simple web based data portal solution with in built electronic diary. Contact us to find out more about this service or to discuss your specific requirements. 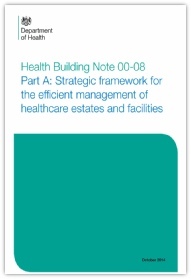 NHS Estatecode (HBN 00-08) provides best-practice guidance to NHS organisations in England on all aspects of managing their estate and discusses acquisitions and disposals of freehold and leasehold land and property, and town planning and planning strategic investment in the estate. The document also sets out the requirements of Trusts in relation to the collation, storage and management of important legal documentation. EFM Consulting can support you in your following of Estatecode through utilisation of the above service and our Key Data Extrapolation or Occupancy Agreement Management Services. * The above provide links to an external site - although we check the accuracy of the information stored on that site periodically we do not accept liability for any reliance on such information due to the potential for alteration without our knowledge.